In honor of my birthday, a very close family friend (and mother of my God daughter) made me a special cake from afar and shared it via Facebook. Thank you Lyn, Marissa, and Cecelia! I love you guys!!! I thought I'd share it with you guys too, because it's fantastic! 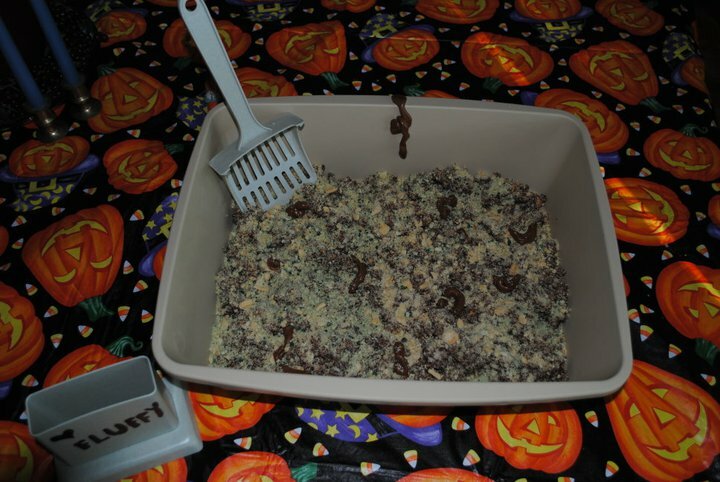 The recipe for this "kitty litter cake" can be found here. Doesn't it look real!? Perfect for Halloween or April Fool's Day! I love the "escaping" poo on the edge! 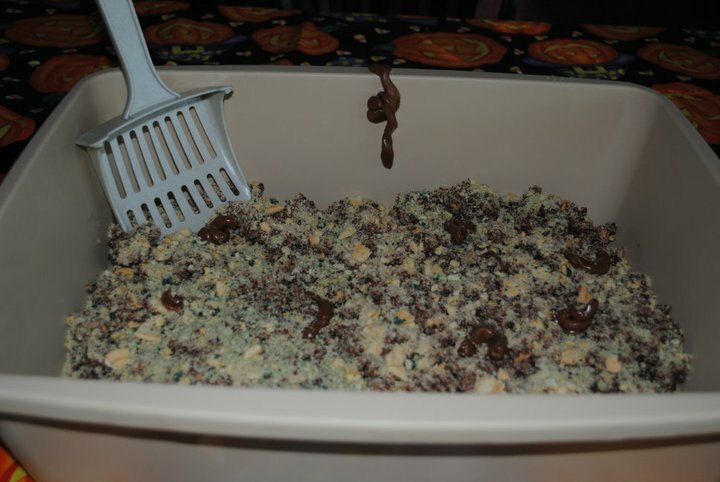 Swirly poo made with tootsie rolls! 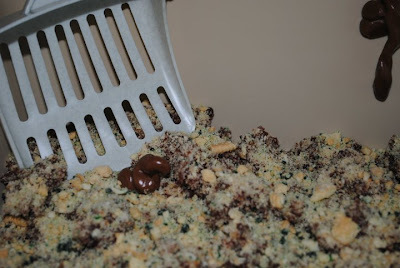 Obvious disclaimer: Use a brand new pan and a brand new scoop! ha, that is too funny! happy birthday! Happy birthday Christina! This is the best cake. 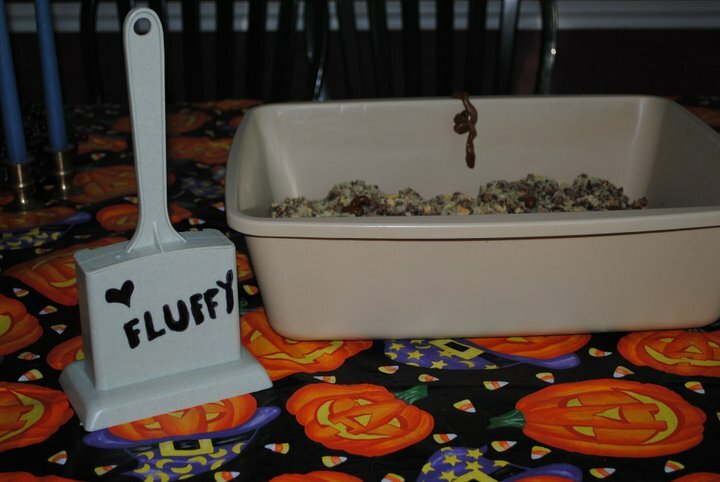 I would have such a hard time eating it. Happy belated birthday--what a fun cake, it totally made me laugh!